Over the past couple of decades, New Zealand Sauvignon Blanc has made an incredible impact on wine drinkers throughout the world. 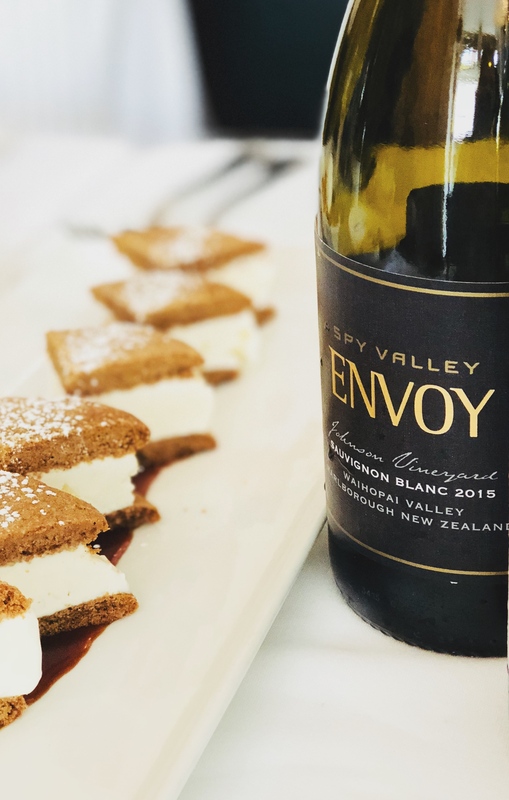 A speedy, steady growth beginning in the 1990’s has resulted in Sauvignon Blanc from New Zealand setting the style benchmark for the grape across the globe. There are 10 growing regions that cover 1000 miles, from the subtropical northern regions to the mountainside vineyards in the south. This regional diversity creates a broad spectrum of styles within New Zealand Sauvignon Blanc. There are 2 main styles within the range; the classic or “Greywacke” style which is the most widely known, especially to the American market. A pungent aroma, loads of tropical fruit, bell pepper, legendary grass notes and a vibrant acidity are characteristics of this “classic” style, which is cold fermented in stainless steel. The second style or approach are wines that are given a more “alternative” label; they are crafted with natural yeasts, have been aged on the lees and see a bit of oak. These wines tend to display a wider range of flavours, complexity and are usually a bit more expensive. One of my personal favourite reasons to drink New Zealand Sauvignon Blanc is that nearly 100% of wines produced are certified sustainable, with many also being organic and biodynamic [certified and/or practicing]. 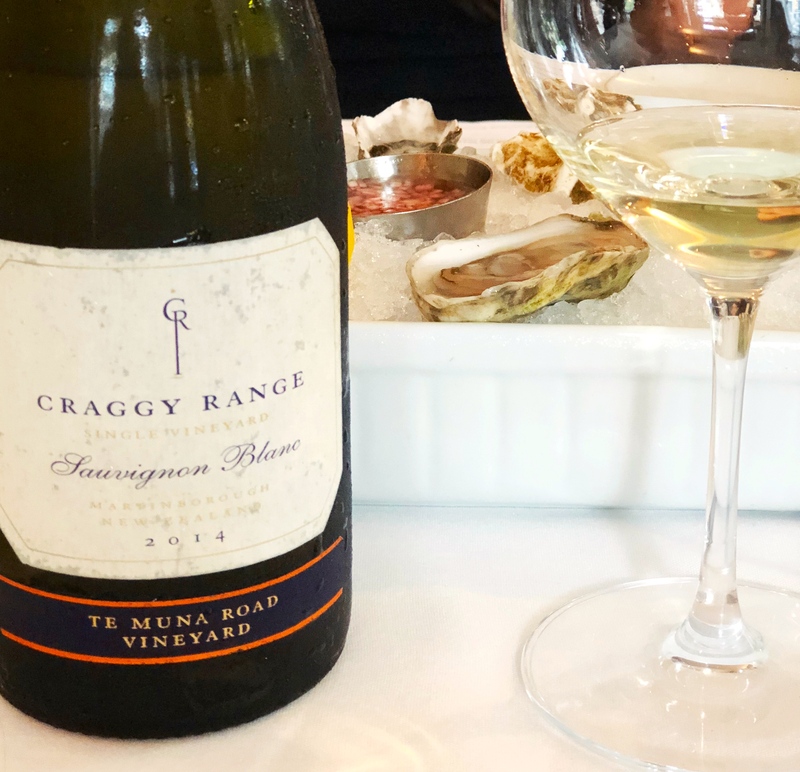 With such a wide range of flavor and style,and easy to pair with just about every dish; from quintessential oysters to creamy alfredo to decadent ginger caramel bars, New Zealand Sauvignon Blanc is quite a crowd pleaser. 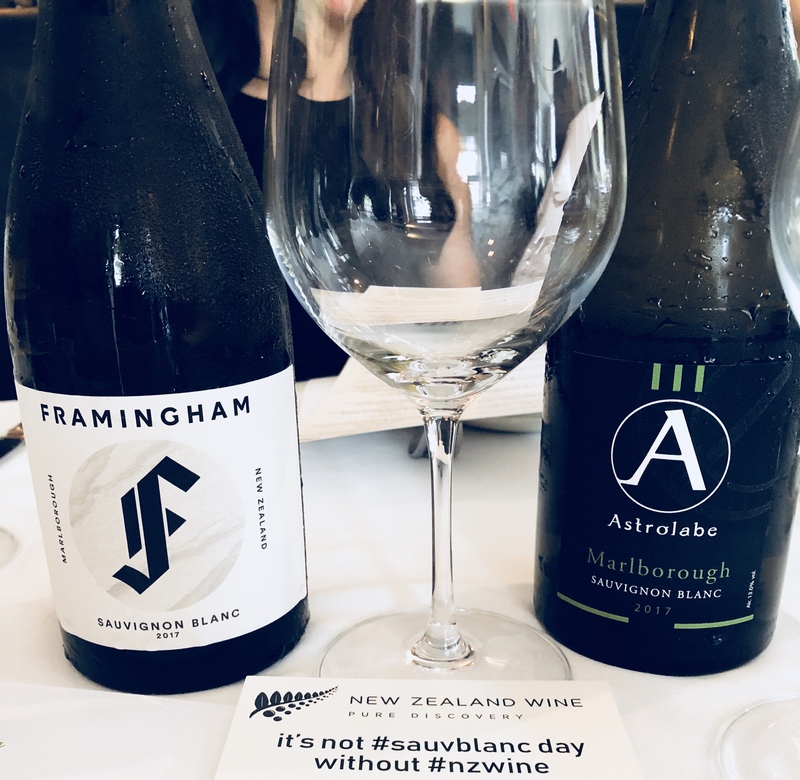 On Sauvignon Blanc Day last month, I had the fantastic opportunity to celebrate the grape with lunch at The Clam in NYC, featuring a delicious line up of New Zealand Sauvignon Blanc. Below are my favorites of the bunch; two in the classic style, four in the newer, more complex style. Grass and herb driven, with juicy peach, apricot and a squeeze of lemon and bright acidity. Straightforward and fresh, a great companion with summer salads. Vivid and supple, 11% of the wine was fermented in oak and acacia barrels, 35% was aged on full ferment lees for 6 months. Creamy layers of lemon, flinty minerals, mango and fresh herbs. Pink grapefruit is the star on the dry, crisp finish. Friendly and easy drinking, great with a wide variety of fresh summer dishes. From a single vineyard with renowned stony, limestone soil, fermented in a combination of stainless steel tanks, French oak cuvées & French oak barriques. Complex and rich, sleek acidity frames lemon, flinty minerals, green apple, lime peel, herbs, jasmine and candied ginger. Dry minerals accent the crisp finish. Engaging and vibrant, each glass will empty rather swiftly. A fantastic companion with creamy alfredo, earthy mushroom and tangy cheese pasta. Fermented with wild yeasts, 80% in French oak barrels, a delightful, silky fusion of tropical fruit, lemon, cucumber, and minerals glossed by bright acidity and clean minerals. Wonderfully gluggable, a fantastic summer sipper. 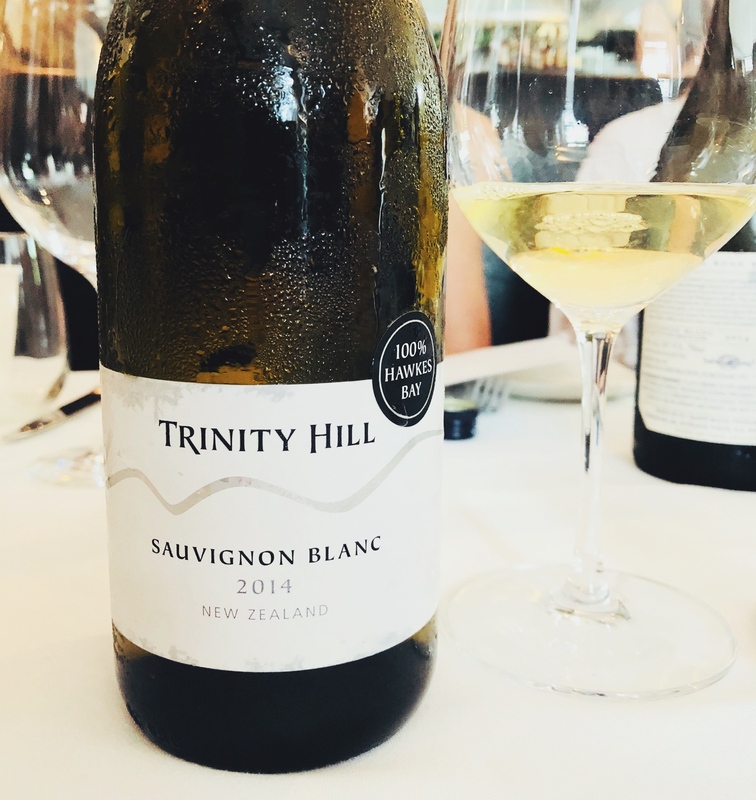 The quintessential New Zealand Sauvignon Blanc, with tomato leaf, pineapple, melon, peach, cut grass and jalapeno; shimmering with fresh acidity and clean minerality. Yes, Sauvignon Blanc is great with dessert! This was a spectacular pairing with spicy ginger cookie, vanilla ice cream and smoky caramel sea salt sauce. Aged on the lees for several months in stainless steel, distinctive and adventurous, with petrol, sweet hay, chalky minerals, apple and a bit of funky lanolin draped over a savory, herbaceous core. Citrus, minerals and honeysuckle linger between each sleek, refreshing sip. Media event hosted by New Zealand Winegrowers.